If you don’t equate Vancouver with the fine arts, it’s time you discovered the Vancouver Art Gallery. 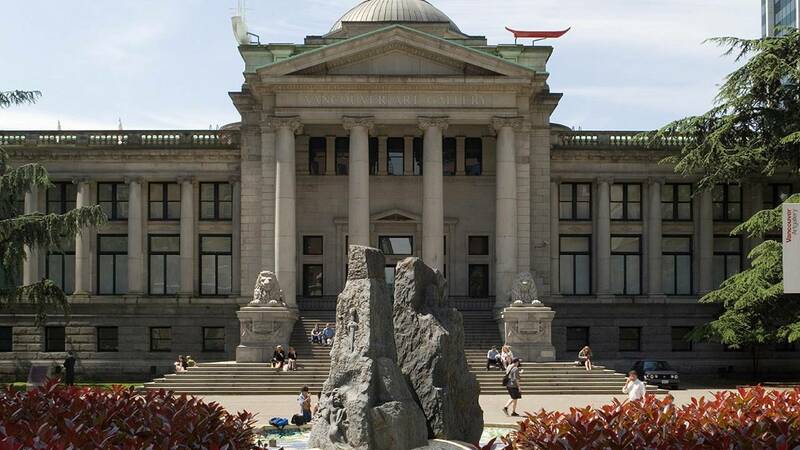 Housed (for the time being — its new home will be built at West Georgia and Cambie) in a beautiful neoclassical courthouse located in the thick of Robson Street’s hustle-and-bustle, the Vancouver Art Gallery is the largest public art museum in Western Canada. Spend an afternoon exploring photographs by masters such as Ansel Adams, as well as important works by Emily Carr and other respected British Columbian artists.